If you’d wandered into the Catskill Mountains in the 21st century and foolishly drunk with the ghosts of Henry Hudson and his crewmen playing skittles, then fell asleep for five years rather than 20 years like Rip Van Winkle, you’d be amazed at the changes that had taken place. Dell is a different beast and the landscape has changed. In the space of five years it has turned from a hardware firm selling x86 kit using a direct model to an even larger multibillion-dollar corporation using the distributor/reseller channel to bring all sorts of products to market all over the world. The move to a more indirect model is being masterminded worldwide by an ex-Sun executive called Cheryl Cook and Dell has very aggressive plans for the future. 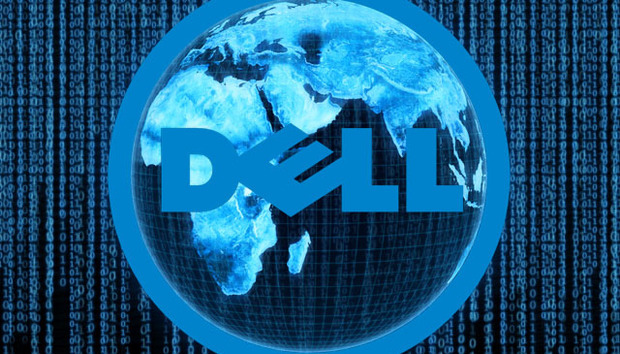 For example, and entirely different to five years ago, Dell now estimates that in Europe alone the indirect share of its revenues tops the 50% mark. And Cook has further plans to expand into the channel, under the Partner Direct umbrella. Patrick Sweeney, executive director of product management at Dell worldwide, said at a recent partner conference in Budapest, Hungary, that Dell is becoming an end-to-end supplier of scalable systems, with the software and security product breadth to compete with Cisco, Fortinet and others. I talked to Dominique Honnay, director of Dell Solutions Group EMEA, emerging markets, who explained the changes at Dell and, more specifically, about how the company does business in the Middle East. In the last few years, Dell has acquired a number of companies including Perot Systems, SonicWALL and Quest Software, and with these acquisitions it has also inherited a channel to bring myriad products to market. Honnay was a long-time executive at SonicWALL and during this time helped engineer the sale of products to the Middle East. In Saudi Arabia, Dell typically gets requests for bigger contracts. “We always stick to the two-tier distribution model, recruiting distributors and they in their turn recruit resellers,” Honnay says. “In Saudi Arabia we have three distributors and three Dell people in the field as well. Two people are sales-related but have a technical background. One is a dedicated pre-sales employee.” Partners come into play when installations, implementation and support is required. Until recently, Dell had two distributors that cover the entire Middle East region: Westcon ME and Reddington Gulf. It has just recruited Starlink, which acts as a value-added distributor with strength in security. Honnay says the sales model in the Gulf countries resembles the way business used to be done in the European Union 10 to 15 years ago. “Face-to-face contact is very important,” he adds and Dell has people on the ground in Saudi, the UAE, Dubai and Qatar. And while, fundamentally, pitches for business are similar to pitches throughout the rest of the world, in Saudi Arabia, Dubai and other places in the Middle East, once they’ve made the decision to buy, the process is faster and less timid than in Europe. These trends are fuelling Dell’s ambitions for growth in the region.